John Pollock and Wai Ting review WWE Raw from Oklahoma City. 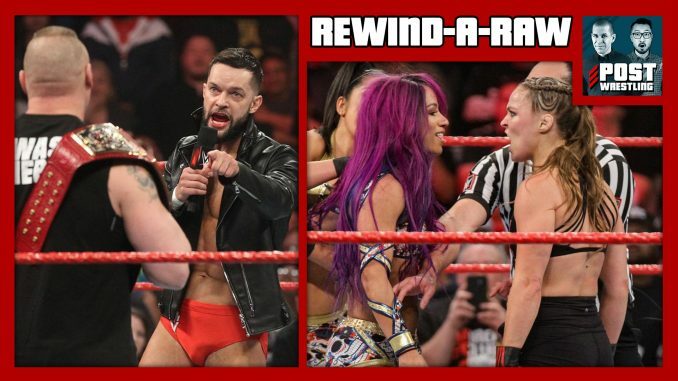 They discuss the final Raw before the Royal Rumble with an update on the status of John Cena, Ronda Rousey teams with Natalya against Sasha Banks and Bayley, Brock Lesnar appears with Paul Heyman and Vince McMahon in the opening segment, Braun Strowman has his first match back against Finn Balor and more. NEWS OF THE DAY: UFC’s big weekend on ESPN+, an update on John Cena at the Royal Rumble, Kenny Omega documentary in Canada, Otto Bahn passes away, Sonjay Dutt stranded over the weekend & more.